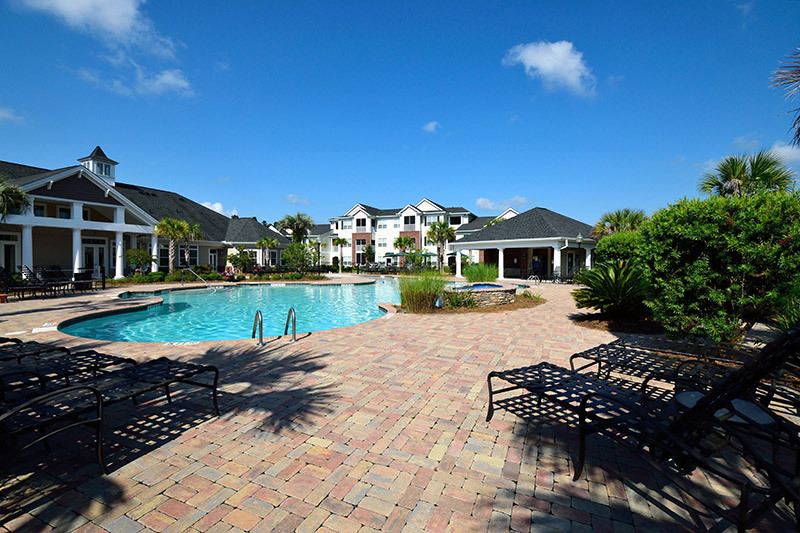 Auston Chase Apartments are near award winning destinations for golf and beaches. We offer one, two and three bedroom apartments for rent in the Okatie/Hardeeville area of Ridgeland, South Carolina. We have nine spacious and unique 1, 2 and 3 bedroom apartments for rent. Auston Chase Apartments feature 9’ foot ceilings, expansive windows for an abundance of natural light, full-sized washer and dryers, fully equipped kitchens and large walk-in closets. With luxury community amenities such as a large clubhouse with Internet café and game room, as well as, an invigorating zero-entry swimming pool, cutting edge fitness center with advanced cardio and outdoor grilling and gathering areas, you won't want to go anywhere else. We are located within minutes of award winning beach and golf destinations such as Bluffton, Beaufort, Hilton Head and Savannah.